36 effective and disciplined horse powers guarantee safe and troublefree sailing. 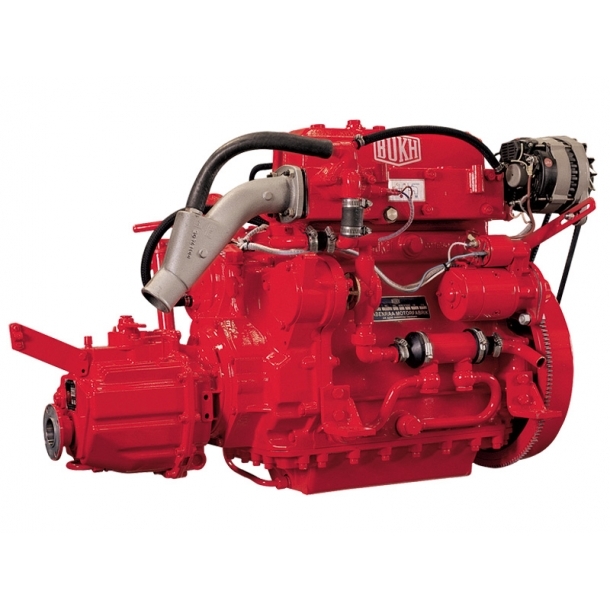 The DV36RME is designed and constructed as a genuine marine engine - it is not a “marinized” industrial engine. Through a simple design the service of the engine is carried out very easily. 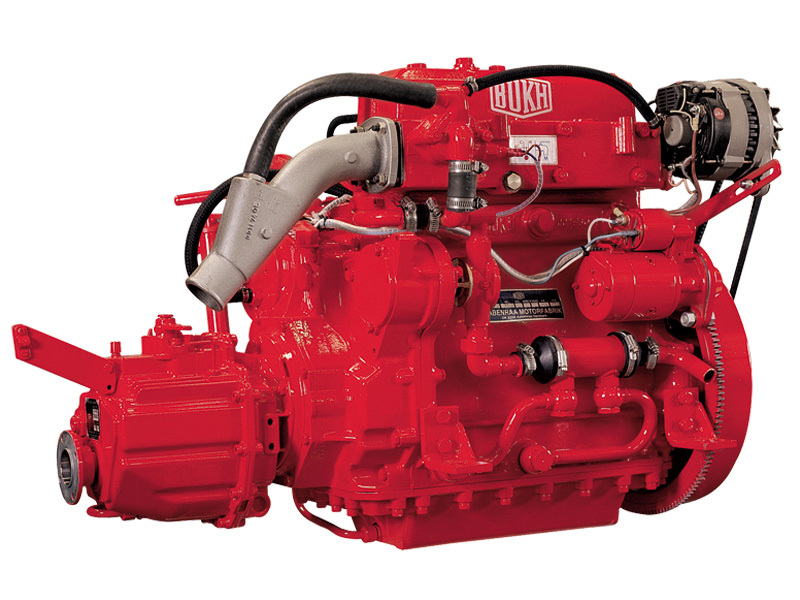 A BUKH does not vibrate due to a well-balanced system of rotating counterweights in the engine neutralizing all vibrations. 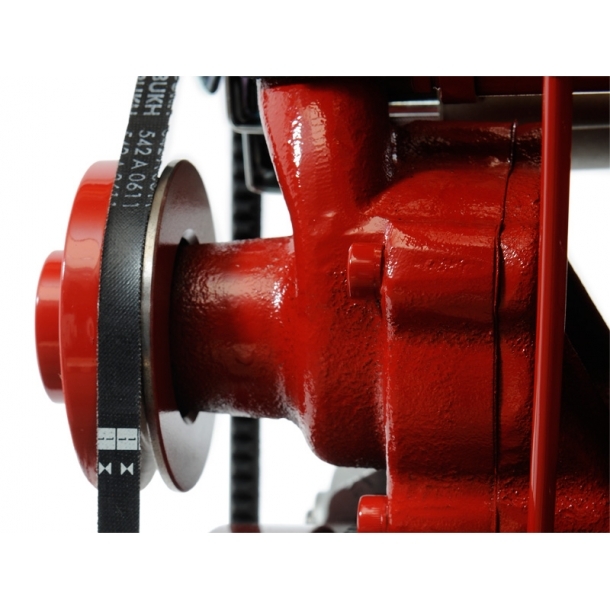 It does not rattle because minimal tolerances in all moving parts ensure the lowest possible noise level in bearings, gearwheels, pistons and connecting rods. 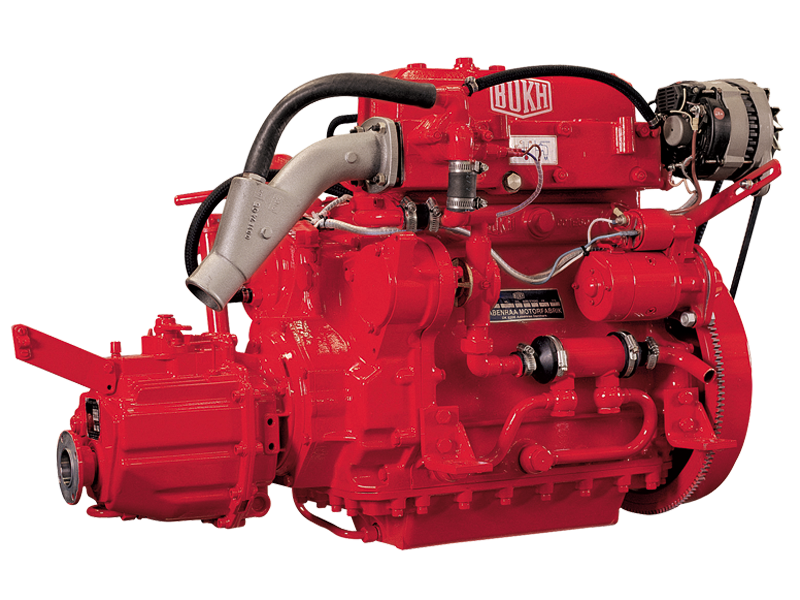 A BUKH RME engine has automatic fuel control which guarantees that the engine only gets the amount of fuel which the immediate load requires. 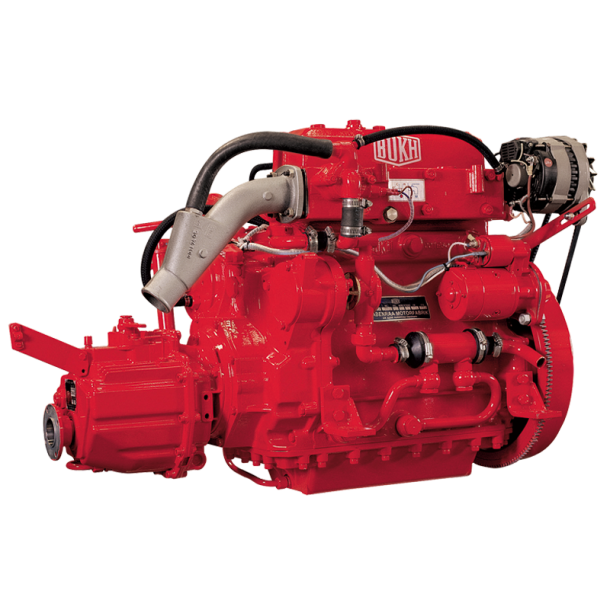 Due to an open flywheel we are able to offer a great variety of different SOLAS approved starting systems which is not an option with other diesel engines. We can combine hand start, hydraulic start and spring start with traditional electric start. 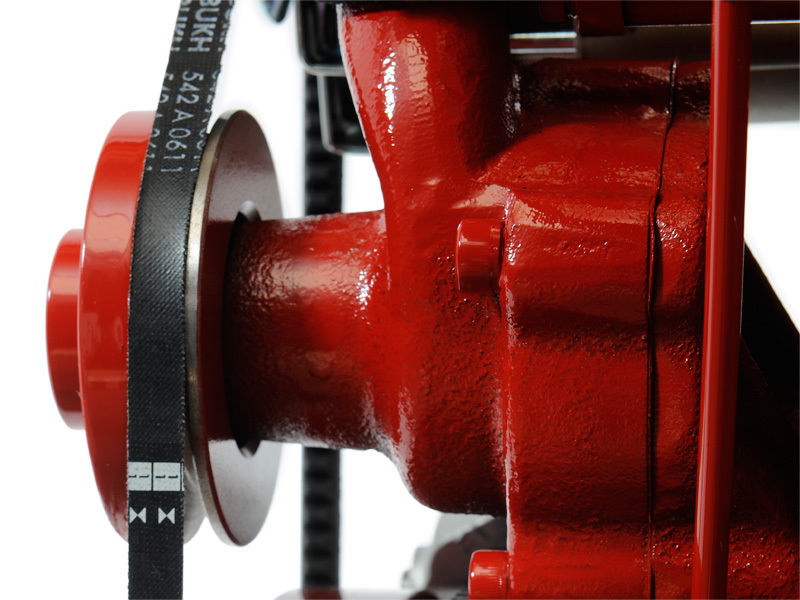 Spraypump for fireprotected lifeboats that can stand dry-running.